In 1997, a unique side-scrolling platformer launched for the Sony PlayStation called Oddworld: Abe’s Oddysee. 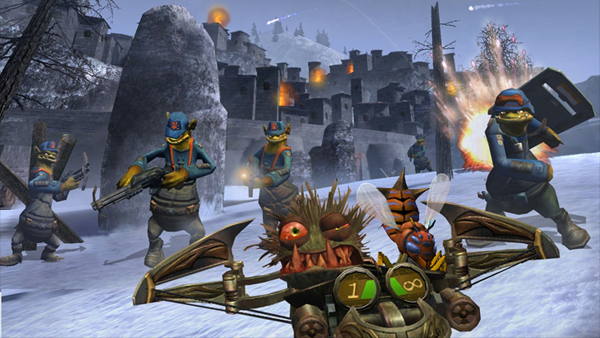 Featuring innovative gameplay, impressive graphics, as well as a unique, engaging, and creative universe packed full of humor ,the Oddworld franchise officially made its way into player’s hearts. 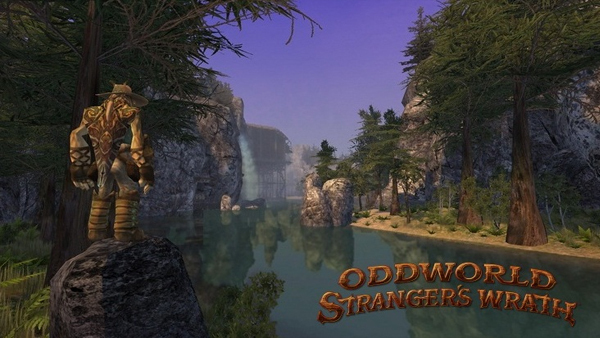 By 2005, the franchise’s creators, Oddworld Inhabitants were ready to take their love child in a bold new direction; Enter Oddworld: Stranger’s Wrath. Deviating from its platforming and puzzle solving roots, Stranger’s Wrath was a first/third-person shooter hybrid that traded the franchise’s traditional industrial setting for an all new adventure set in the wild west. After releasing Stranger’s Wrath for the original Xbox, Oddworld Inhabitants closed up shop deciding that they were no longer happy with the direction of the gaming industry. Fans of the franchise were left to fret about what could have been, and the reality that the franchise may have come to an end. Luckily for us, that is not the case. Developer Just Add Water Inc, has inherited the Oddworld mantle and is currently working on a high-definition remaster of Oddworld: Stranger’s Wrath. 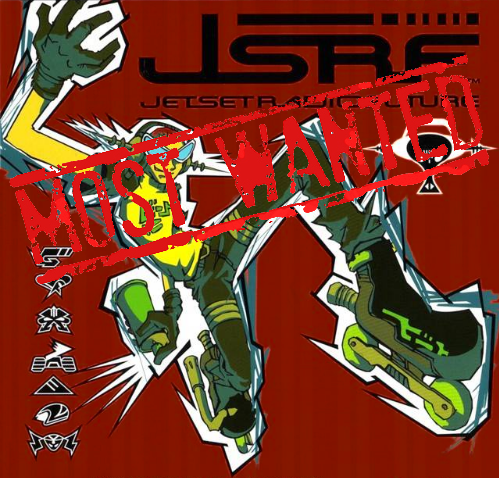 You know what that means: we want it on Xbox Live Arcade. Oddworld in HD – Updating and re-releasing classic games in high-definition is something that has been very popular this generation, and for good reason. There is a plethora of great games out there that a large part of the gaming population missed when they were initially released. Why not update the visuals and give gamers the opportunity to discover some of these buried in HD and at a budget price? That’s precisely what Just Add Water is doing. Stranger’s Wrath was a graphically impressive title when it debuted for the original Xbox, with particularly impressive and memorable water effects. Now, re-mastered in high-definition, Stranger’s Wrath is going to be looking better than ever. Sound quality – One of the few problems Stranger’s Wrath had when it released was in the sound department. For whatever reason, the sound wasn’t mixed very well and often resulted in sound effects, music, and the chatter from characters drowning each other out. All that needs to be done is a simple volume adjustment so the three aspects of the game’s sound blend together instead of overriding each other. Every aspect of the sound is great. The soundtrack, the sound of the various “live ammo” types flying off your crossbow, and of course, all of the game’s characters sound great. Voice work and dialogue is a key aspect of Oddworld’s charm. It’s vital that the player hear it, both to enjoy the game to its fullest, and to laugh, something we don’t always do in today’s super serious gaming climate. Additional content – Many of the people who buy the high-definition remaster of Stranger’s Wrath will be people who played the game back in the day when it first released. Fans will buy the high-definition release simply because it’s an awesome game and is worth playing again. That said, it wouldn’t hurt to include some bonus content for players stepping into the stranger’s shoes for the second time. It could be as simply as including some scrapped ammo-types, or throwing in a few easter eggs for fans of the series. Or it could be as complex as adding a new town and bounties. A little bit goes a long way when it comes to enticing loyal fans to double dip! 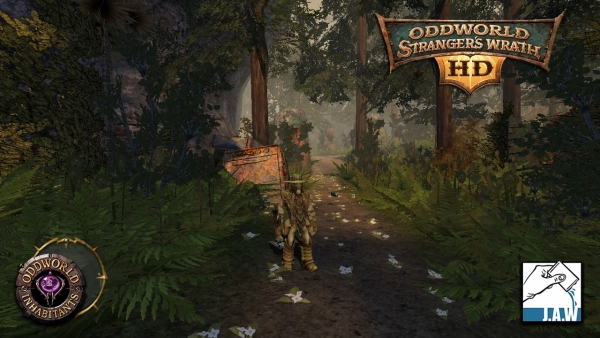 The setting – Oddworld Inhabitants always excelled at creating a compelling world for players to explore and the world of Stranger’s Wrath is no different. Throughout the game you’ll travel through the deserts of the wild west, small shanty towns inhabited by chicken-people, ancient ruins where you’ll discover the hilarious lizard-like natives, familiar industrial settings and you’ll even fight in a war in environments inspired by World War II. Simply put, Stranger’s Wrath is an adventure of epic proportions that will take you places, set in a unique and creative universe. Not a damn thing about should be changed. Live ammo – Instead of taking the easy route and just putting out a straight forward shooter for an increasingly impatient and action-oriented market of gamers, Oddworld Inhabitants gave new meaning to the words “live ammo”. In Stranger’s Wrath you are armed with a crossbow and only a crossbow. The catch? Your crossbow fires live animals that serve as your ammunition. Want something like a machine gun? Look for the rapid fire hornets to sting your enemies to death. Want to drop an enemy to his feet with a single shot of force? Look for mudslugs which pack the punch of a shotgun. How about driving an enemy crazy by shooting “fuzzles” all over and watching them bite the hell out of everything that crosses their path? Stranger’s Wrath is chock full of creative weapons and it really sets the game aside from the standard shooter. Further distinguishing itself, you actually have to “hunt” your own ammo in the wild. They are living creatures after all. To succeed in Stranger’s Wrath you’ll need to keep your eyes open, your senses sharp, and be one with the environment, just like they did in the wild west. The Oddworld franchise already has droves of die-hard fans out there waiting for Just Add Water to finalize and release their high-definition re-master of Stranger’s Wrath. In fact, for the record, the franchise has sold 4.2 million copies to date. The prospect of the Oddworld franchise making a comeback is reason to be excited by itself. There just aren’t a lot of franchises like Oddworld these days. The Oddworld universe always somehow managed to be mature and adult oriented, yet humorous, light and charming at the same time. The Oddworld francise was, and still is in a class all its own. Just Add Water has gone on record stating that it would like to bring Oddworld: Stranger’s Wrath to Xbox Live Arcade, but is currently being prevented from doing so by restrictions on the size of XBLA titles. If Microsoft lifts these restrictions, not only does this open the door for Stranger’s Wrath, but also a number of other Oddworld titles that are currently being re-imagined by the folks at Just Add Water including Oddworld: Abe’s Oddysee and it’s sequel Oddworld: Abe’s Exoddus. We’ve also heard rumblings that the developer has truly inherited the Oddworld mantle, and is working on several original Oddworld projects. If Microsoft loosens the restrictions on XBLA titles, not only does this mean we will in all likelihood see Stranger’s Wrath released on XBLA, but the entire backlog and subsequent rebirth of the Oddworld franchise as well. There’s too much at stake here for Oddworld fans. Make like your mudoken brethen, and rise up against the evils of the corporate world. 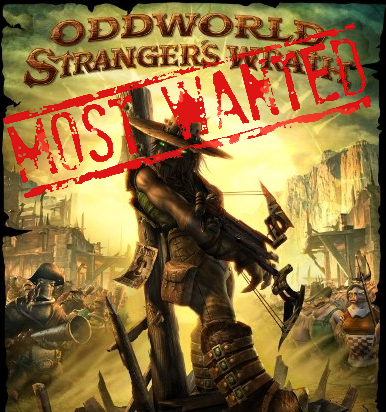 Demand that Oddworld: Stranger’s Wrath be released on Xbox Live Arcade! Big Prizes from XBLA Fans!